There are two types of math; theoretical math and applied mathematics. Both types of math employ theory, algorithms, computational techniques, and nowadays, computer technology in order to solve scientific, economic, scientific, engineering, and business problems. Many careers involve the use of mathematics, even many non-mathematical career fields use applied mathematics to solve problems, or predict trends. Applied mathematics and statistics is the application of mathematics to the solving of non-mathematical problems. Such problems may arise in math-oriented fields such as physics, chemistry, or engineering, as well as in areas such as business, marketing, banking, biology, healthcare, or politics. The flexibility and breadth of knowledge inherent in applied mathematics make it an attractive field of study for many perspective students. If you enjoy math but want to keep your career options open then earning a math degree may be a good option for you. 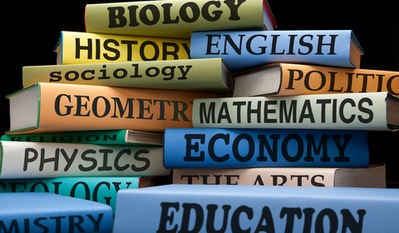 Colleges and universities all over the country offer both undergraduate and graduate degrees in math and statistics. Curriculum in these programs typically includes the study of math and mathematical theories, and how they are used to solve problems and predict outcomes. As a graduate with a degree in mathematics and statistics, you will find more career opportunities than ever before as mathematics serves as a foundation for a broad range of positions in business, industry, and education, as well as the computer and communications industry, banking and consulting firms, and almost every bureau and branch of the government.